SlenderWall Architectural Cladding Panels. 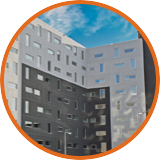 SlenderWall is a high performance, thermal and fire code compliant, ASTM E119 fire tested, architectural precast composite cladding system. 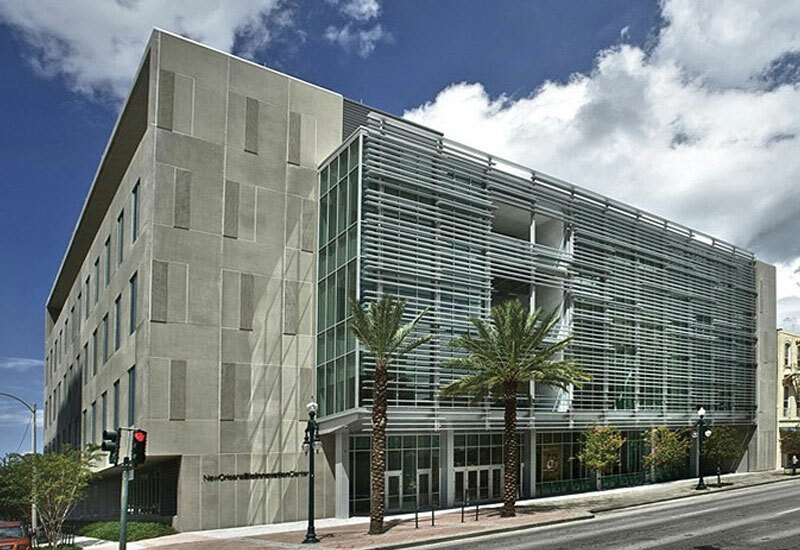 Reduce structural costs and on-site trades with the only envelope system that combines the proven technologies: architectural precast concrete, PVA fiber and welded wire reinforcing, stainless-steel fasteners and ready for drywall heavy gauge G90 galvanized steel studs, to create a single efficient solution for new construction or re-cladding. Read "A Case for SlenderWall" - 6 case studies on a wide-range of market applications. 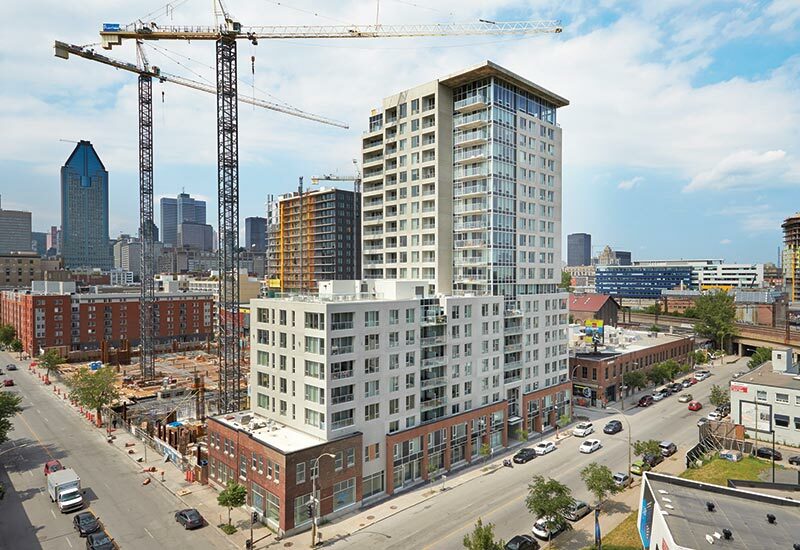 SlenderWall is designed to be lightweight (66% less than traditional architectural precast), reducing foundation and superstructure requirements and reducing shipping and installation costs. 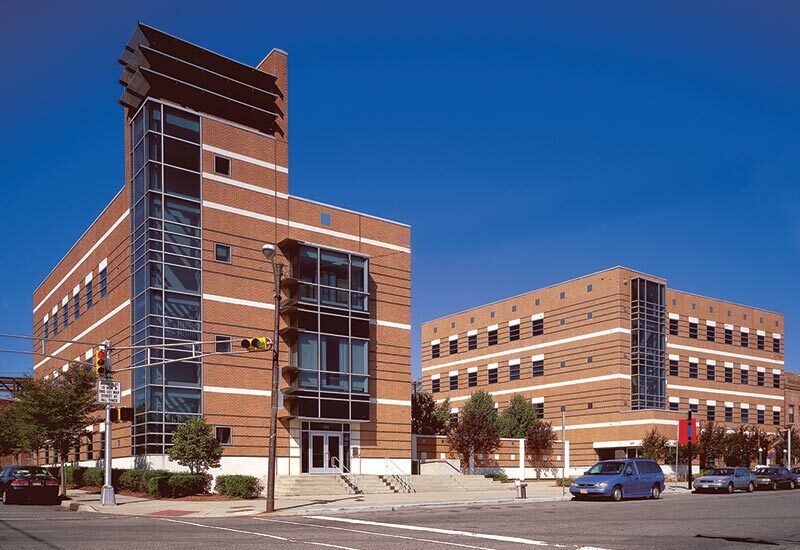 The exterior precast concrete cladding and integrated stud system is isolated from the structural stresses associated with wind loading (tested to 226mph), steel frame movement, expansion and contraction, and seismic shock. 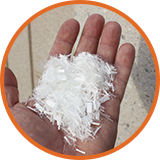 Engineered to last into the 22nd Century and beyond. Have a question? Contact Us. Earn AIA and GBCI credits, by taking the Architectural Record SlenderWall CEU course. 30lbs. per sq. 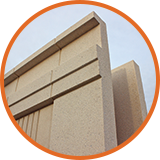 ft., 2" thick precast concrete, is 66% lighter than traditional precast, allowing for lower structural and foundation costs. Available in a vast array of Class "A" finishes, colors and textures. 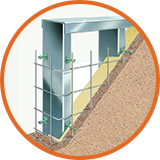 Integrated heavy-duty G90 galvanized steel stud framing equals fewer on-site trades and faster construction schedules. 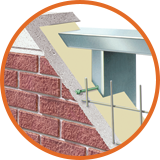 The only 100% thermal-break/air barrier connection system incorporating a thermal-break created by the gap between the concrete and steel-stud frame. Molecularly-bound high-tech fiber and welded-wire reinforcement, wind-load tested to 226 mph. 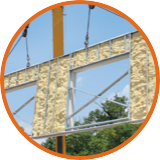 Optional: SlenderWall precast building panels with closed-cell foam insulation will meet 2012 IECC Thermal Requirements from Zone 1 through Zone 8. Optional: Provides greater control over the quality of installation, faster erection speeds, and few on-site trades. 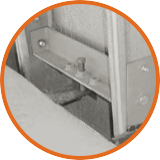 Optional: Lift-and-Release™ is the only panel-landing system that makes the installation process faster and easier. 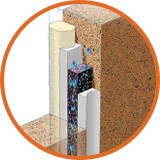 Optional: The only pressure-equalized, street-level, sealant joint leak detection system. 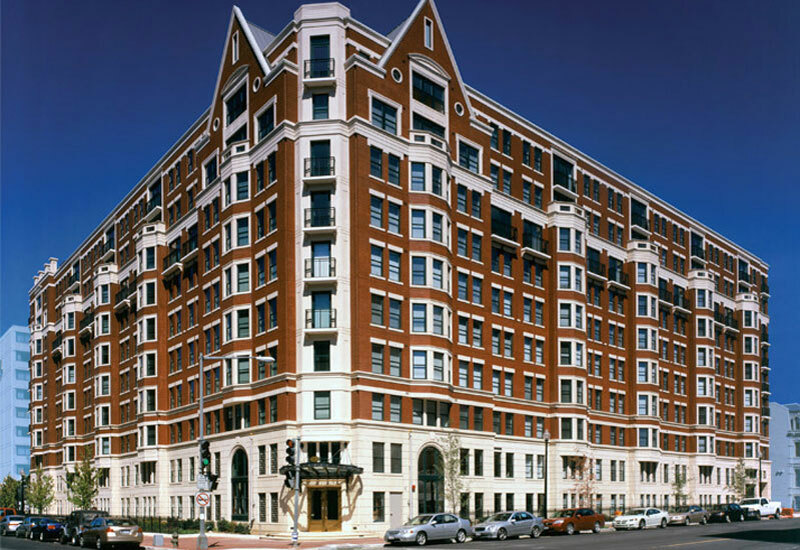 If the outer sealant joint ever fails, leaks exit to the outside of the building and can be located within 20 feet of the failure.